Freddy vs. Jason, Alien vs. Predator, King Kong vs. Godzilla. Fun? Absolutely. Fundamentally flawed? You betcha! 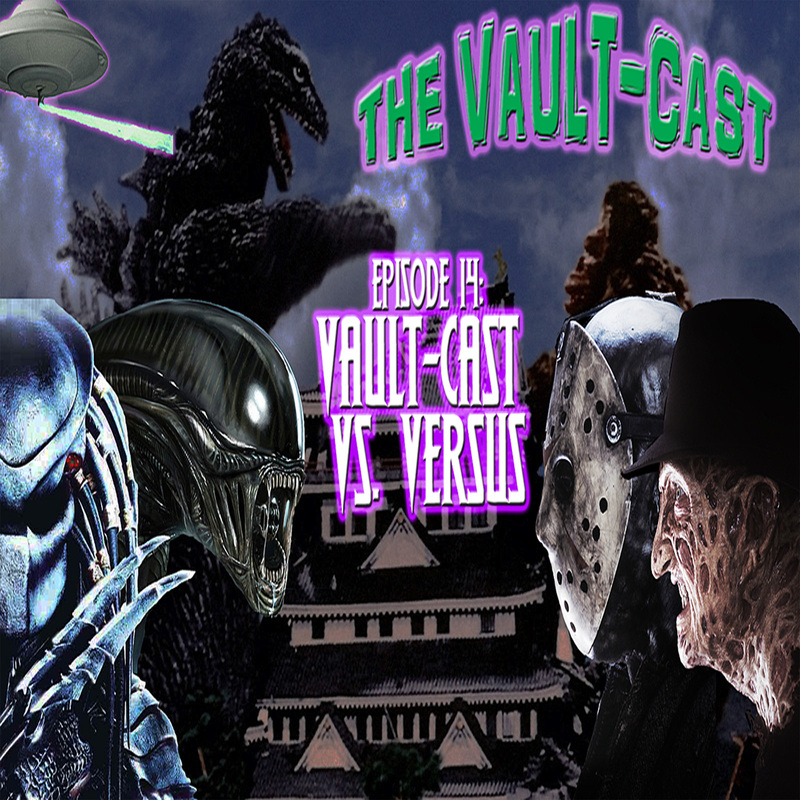 For this short episode of the Vault-Cast, your hosts venture into the troublesome realm of "Versus movies." We discuss why they don't always seem to work, and offer up some ideas on how to fix these types of films in the future. Naturally we do this while tossing back a few cold ones, so yes, we do ramble about Godzilla and Star Wars, and take the occasional potshot at one another.